Social Media Becoming An Addiction? Social Media has affected every aspect of our lives, and is easily available anywhere you are. Facebook addiction is becoming an increasing problem in homes across America. People of all ages, from preteens to the elderly, are logging into social media sites, and logging out of traditional face to face encounters. While these sites have their advantages, such as finding old classmates and long lost family members, there are many instances where Facebook has damaged relationships, but this is just one of the disadvantages of Facebook. Social media seems to be the go to alternative to actual visits. Dating, going out with friends, and visiting family is less convenient than turning on a screen and seeing everything they’ve done that day. All that time spent in one another’s virtual company can put a strain on a family. Another way Facebook destroys relationships; the access to other people so readily can be a temptation for unhappy spouses to find company other than actually sitting down and working out the problem with his or her partner. Privacy presents another issue in the social media community. Along with “Tweets” and “Statuses” a lot of people put personal information on their profile that is readily available to anyone who wants to see it. Some information that is protocol for most all social media sites, such as address, phone numbers, and social security numbers, can put people at risk for identity theft. Hackers can access this information just by logging into an individual’s account. Posting personal information may not seem like a big deal, but if the information contains incriminating evidence, or evidence that a person may not be of a wholesome nature, it can directly affect the availability of future employment opportunities. 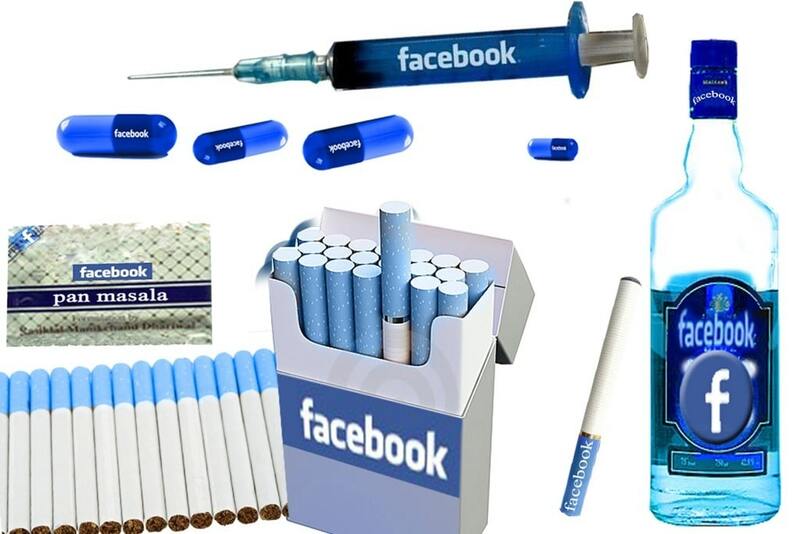 This is but another disadvantage of using Facebook, and Facebook addiction. An employer may over look a prime candidate for an open position just because someone posts a status every few minutes, or if an individual has pictures showing them acting in an immoral manner. Everyone, from everyday people to celebrities, seems to have a social media profile, and, it seems, they have all been victims of “Spamming”. In most cases Spammers cause slow internet connection, and in the worst cases cause internet connection to shut down completely. Viruses are also distributed by spammers and can cause complete loss of information, or even destroy what would normally be a perfectly working computer. Bots also distribute viruses, but thanks to the “Captcha” feature on most social media websites, their access is limited. Although the disadvantages greatly out weigh the advantages of social media network, billions of people are logged in at any given time. This problem will persist. People will continue to become addicted and relationships will continue to be destroyed, unless, like most things, something better comes along. Though Social Media is a sort of trend, it is not believed that Facebook will be easily looked over. Future generations for years to come will log into their account, and out of real life.